Team Aqua Blue Sport has agreed to buy the IAM Cycling team bus and truck after the Vuelta A Espana. Aqua Blue Sport’s move into the professional ranks has moved up a gear with news that the team has agreed to purchase the IAM Cycling team coach and truck. It’s understood the total investment for both vehicles amounts to around half a million Euro. The team, which will be Ireland’s first ever pro cycling outfit, is backed by Monaco-based Irish businessman Rick Delaney. 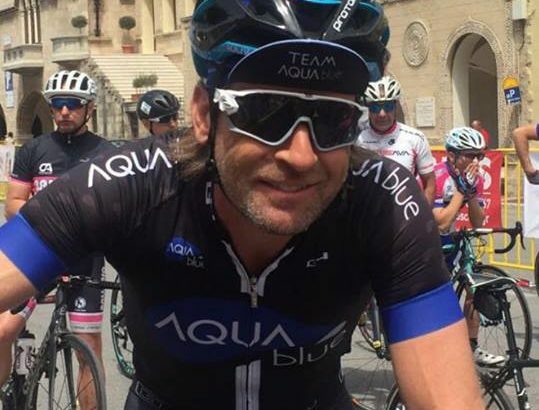 The Corkman has already been sponsoring the domestic outfit Team Aquablue directed by former international rider Tim Barry. Some of the domestic team’s personnel may work with the new pro outfit though Team Aquablue will continue to exist at home. News that the team is buying IAM Cycling’s vehicles is the first tangible indication of the scale and ambition of the new ProContinental team. 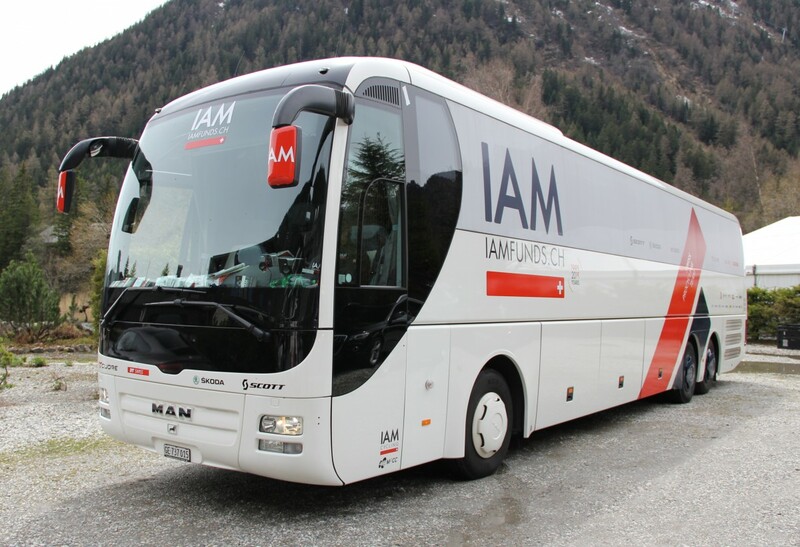 The IAM Cycling team bus is up there with the best of them. It’s essentially a luxurious home on the road for teams. The coach is kitted out with everything riders and team management could want; from showers to lounge areas, food storage facilities, reclining seats, flatscreen TVs and, of course, coffee machines. The truck is where all bike-related equipment will be kept while the riders and staff are on the road. It will store frames and components as well as wheels and various accessories. Of course, both coach and truck will be completely rebranded with the Aqua Blue Sport livery as well as any other sponsors that come on board. Delaney has previously told stickybottle the team should be in a position to confirm its first signings soon. Delaney may live in Monaco but he is Cork to the core and is clearly determined to put Ireland on the map with its own professional team. “We’d like to get one or two big names,” he told stickybottle earlier this month of signing riders. Of the available Irish riders, the only name Delaney was willing to disclose was that of former world track champion and Olympian Martyn Irvine. “Martyn would be a target of ours,” he said. “I think he’s still capable of winning races.